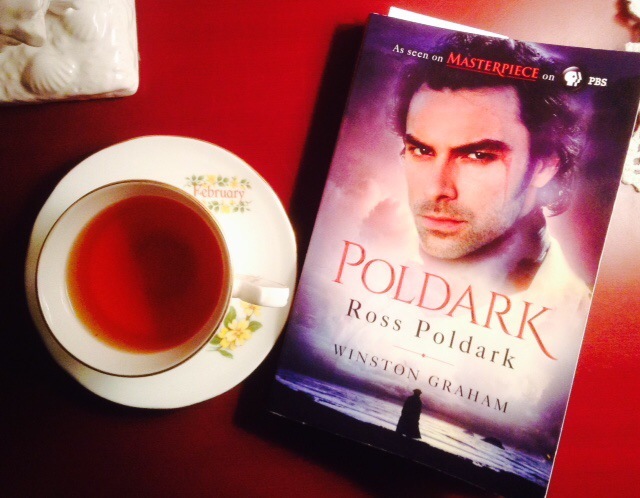 February is the month of love, and no literary hunk brings on those ooey-gooey, heart-a-fluttering feelings quite like Ross Poldark. 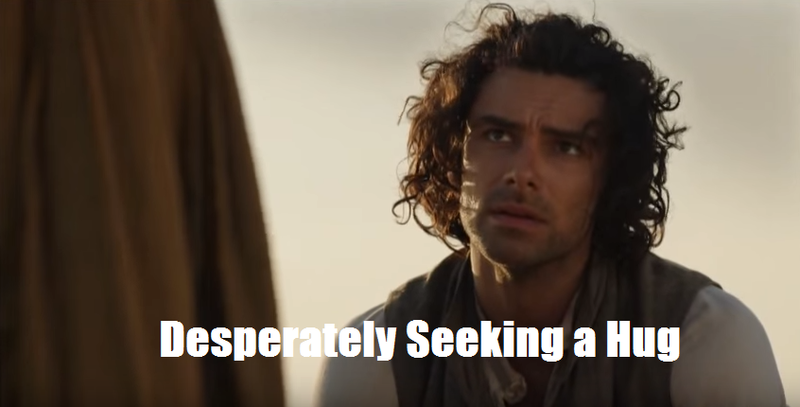 I fell in love with him hard and fast through Winston Graham’s novels, and, as a woman with eyes, I basically lost my mind over Aidan Turner’s portrayal in the Poldark TV series. The name Ross Poldark is enough to make me melt into a giggly puddle of mush, and not just because of Aidan Turner’s utter perfection. Poldark is a hero with a capital H (o-t-t-i-e. Sorry. Had to.). After coming back from the American Revolutionary War with a bayonet scar on his face (it only makes him tastier), he finds that his father is dead, his home is in ruins, his family business is destitute, and the love of his life is engaged to his cousin. Talk about a rough go of it. While a man of lesser caliber may let any one of these things get the best of him, Poldark doesn’t let it get him down. Okay. He’s down a little bit. Can you blame him? His father is dead, his home is in ruins, his family business is destitute, and the love of his life is engaged to his cousin! But Ross Poldark is a scrapper. He just keeps moving forward. Despite his inner pain (who doesn’t love a hero with inner pain? ), he’s full of honor, heart, pride, and more than a few dashes of charm. He doesn’t care what anyone else thinks of him, and is the kind of guy who will save a street urchin, stand up for the meek, and basically give a big old IN YOUR FACE to all forms of convention. 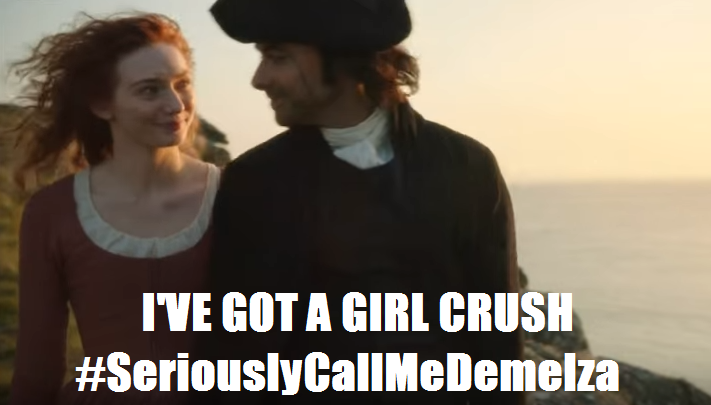 …and who makes us all wish our names were Demelza. Ross Poldark is the perfect example of a dreamy character made even dreamier by an is-he-actually-human actor. (Seriously, has anyone checked? Those cheekbones seem genetically engineered.) 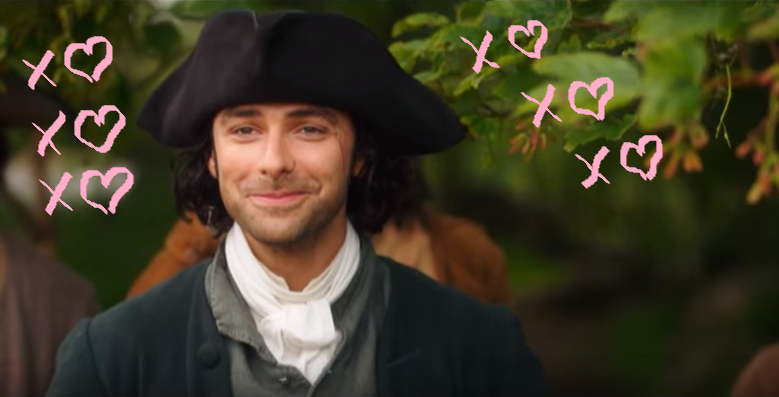 He’s the perfect valentine all the year through, and while we wait around for season two of Poldark, I’ll just leave this here. Great review! I really enjoyed it as well as the photos! Guess which one is my favorite?? Thanks! Guess I’m consistent!! 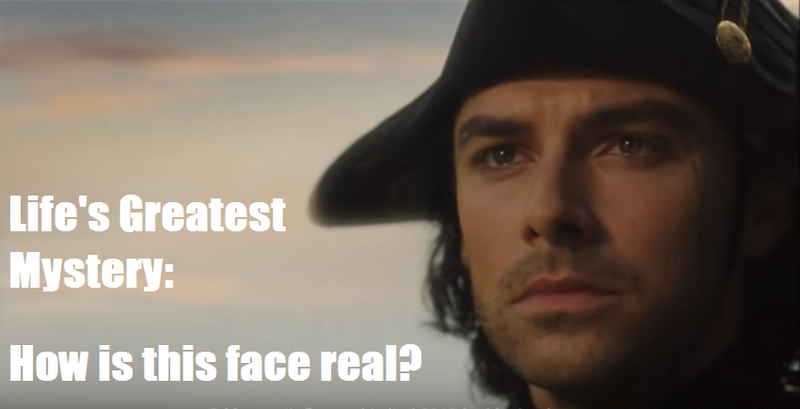 I’ve chosen POLDARK again!!! I wonder why? ?